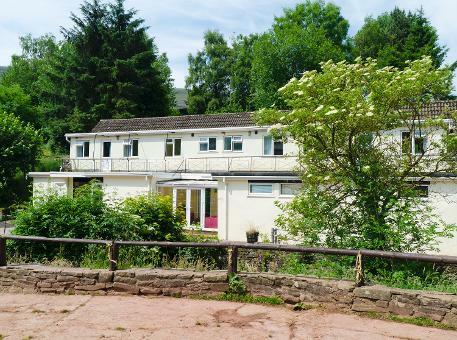 Simple, Spacious and Affordable Group Bunkhouse Accommodation in the heart of the Brecon Beacons, Wales. 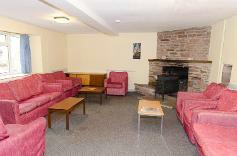 Our spacious modern bunkhouse accommodates up to 31 in clean, modern bunk-rooms. Rooms vary from 2 bunks to 10, offering flexibility for your party. The bunkhouse also has a well-equipped kitchen with a catering stove, a spacious dining room to seat your entire group in one sitting, and a large separate lounge with comfortable sofas and a wood-burning stove (logs included). There's also a boot room, storage and cleaning facilities for bikes or canoes next to the bunkhouse, and a farmhouse B&B and camping area should you require any extra sleeping room! We're 25 minutes drive from Abergavenny, Brecon and Hay-on-Wye, making us an ideal base from which to explore the Brecon Beacons and South Wales, and near Talgarth, which has just been made a 'Walkers Are Welcome' town in recognition of the fabulous hiking around the local area. Just £20 per night per person (minimum group 4 people), or enjoy the whole bunkhouse with exclusive use for just £300 per night. "Fantastic walking right from the door, massive lounge, separate kitchen AND dining room all added up to a perfect group holiday with friends"
"Friendly, welcoming staff who showed us around the bunkhouse and then let us get on with it"